Tis' the season to reflect on the year and to be thankful for all that we have. 2016 has been an amazing year for me, my husband, my family and my friends. It's been a true blessing and I am thankful for all that I have. I am thankful for our home. My husband and I bought our first home in January. In southern California, this is a BIG accomplishment! We are proud of our accomplishments and thankful for the opportunities to allow us this blessing! I am also thankful for all the travels we did this year and our biggest trip that is coming up in December to Thailand! I am thankful for my family. They are there for me at all times and have helped make me the woman I am today. I am thankful for my friends. They can ALWAYS put a smile on my face! I am thankful for each and every accomplishment my students have made this year. These accomplishments may seem small at the time, but together they add up to a VERY successful year. I wish nothing more for my students than their health, their happiness and their independence. 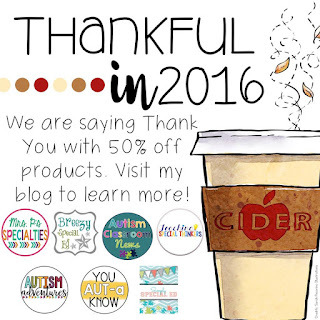 I am thankful for TpT. 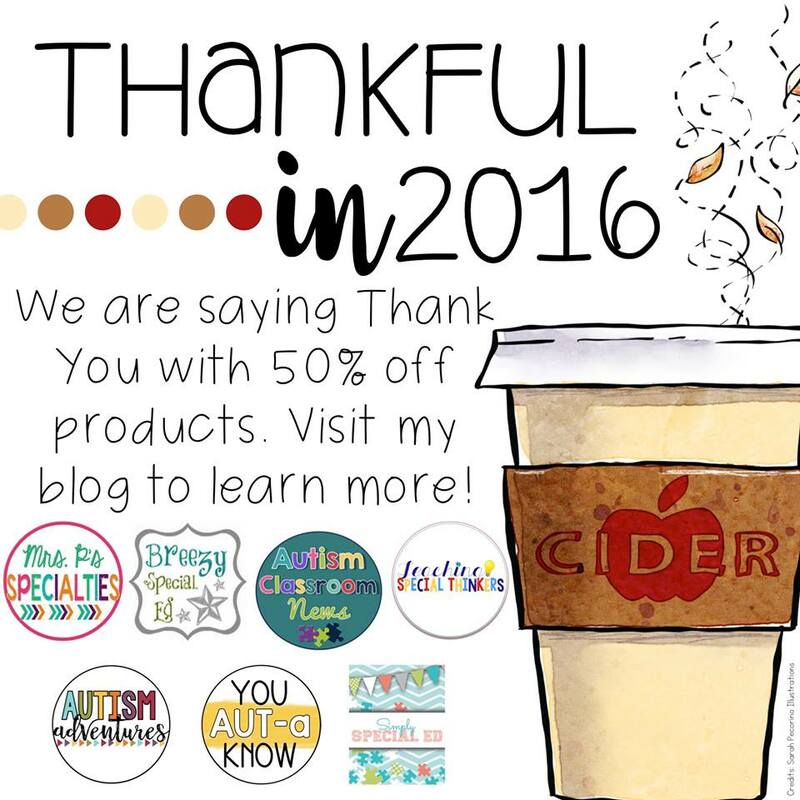 The TpT and blogging world has brought so much joy into my life over these last few years. It has lead me down a path I could have never imagined for myself. I have connected with amazing educators across the world that I would have never met if I did not start this journey. I have made some AMAZING friends over the years that have become my "virtual" best friends. 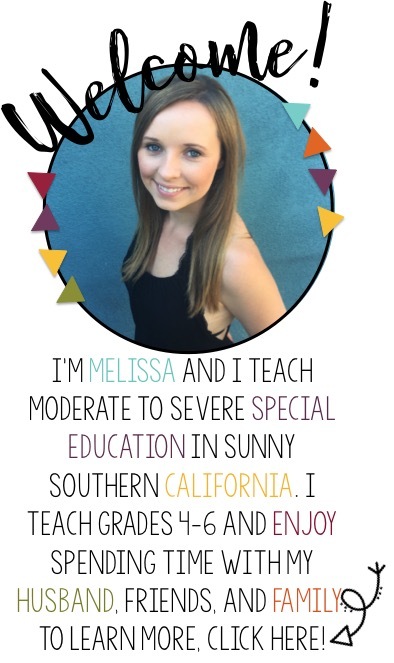 I love my special education teachers that support me each and every day, even when they don't know it! In the spirit of thanks, some of my best friends and I are saying THANKS in a big way. Click on the link below to find 7 products that will be 50% off for this weekend only!